Pinar del Rio is famous for producing the finest tobacco leafs, Pinar del Rio is the easternmost region of Cuba. Simple fact that it lies on the bank of the river Guama in the shade of lavish pine trees, was sufficient for it to be given the name by which the province and its capital know today. Only 174 km separate Pinar del Rio from Havana and excellent motorway link the two cities. Pinar del Rio nevertheless offers outstanding places where visitors can enjoy swim in the sea, such as Cayo Levisa and Jutia keys, to north of the providence, with exquisite virgin beaches and ideal conditions for practicing water sports and diving. The effectiveness of the thermal mineral and medicinal water of San Diego de los Banos and Valle de San Vicente has been demonstrated in the treatment of stress skin complaints and in gynaecological, respiratory, gastrointestinal & nervous conditions. Leisure, when night falls in Pinar del Rio you can choose between the Rumayor club cabarets, performances at the Teatro Milanes and event held by other cultural institutions in the providence. Truly unique are the open-air ranch situated next to the Mural de la Prehistoria and Palenque de Los Cimarrones, protected by flat topped hillock which reproduces the life of the fugitive slaves of the colonial period. 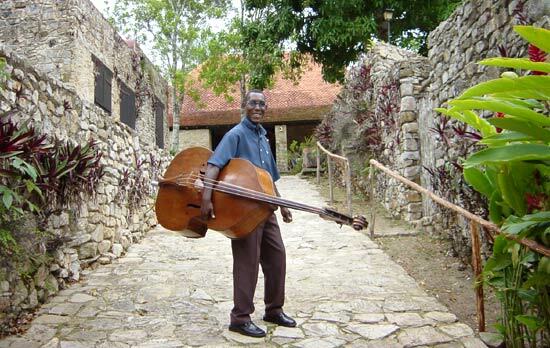 City Pinar del Rio was founded in 1774, the architecture of its historical centre is essentially eclectic. Its low prop houses with their soft colours, whose doorways seem to form one continuous veranda, have their own individual charm. The modern buildings on the periphery break up the horizontal impression of the metropolis. Well worth a visit are the Palacio de Guarche, headquarters of the Science Museum the Teatro Milanes, a theatre built in 1883, the Rumayor cabaret club and the factory producing Guayabita del Pinar, an old spirit which is 40º proof and is still made by hand according to the old tradition. Nature of Pinar del Rio it is not merely for reason of favouritism that Pinar del Rio is know as the Natural Cathedral of Cuba. 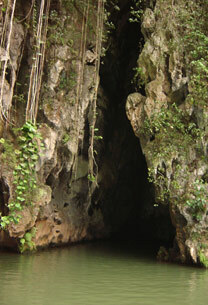 No other province in the country has warranted as many acknowledgements by UNESCO, which declared the Peninsula de Guanahacabibes and the Sierra del Rosario, both of boast flora and fauna that are know to be greatly varied and endemic, as Biosphere Reserves and the Valle de Vinales as a Cultural Heritage Landscape. 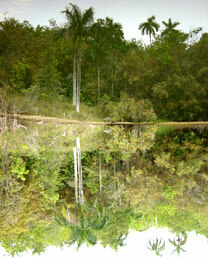 In this nigh-on perfect landscape, 11% of all of the species are indigenous and examples can be such as the Palma corcho (living fossil), the ceibon, the Caiman oak tree and the palmita de la cierra sturdy plants. But in the animal kingdom, especially in the world of birds, 50% species are endemic. 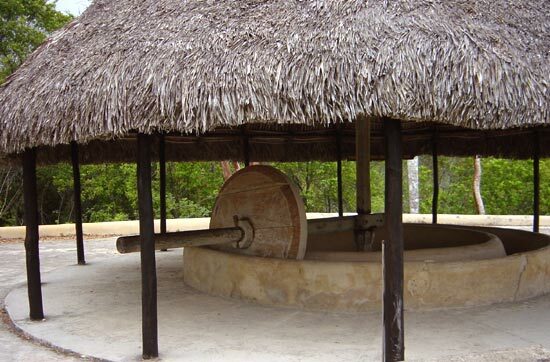 Since the 19th century the natural beauty of the region has attracted the inhabitants of Havana, who would pay a visit to La Cueva de los Portales, to reap the benefits of the thermal, mineral and medicinal water of San Diego de los Banos and to take loos at the Valle de Vinales. The best Black Tobacco in the world is grow on the fertile plains of Pinar del Rio, which contribute around 70% of the raw material with which Havana cigars are made. 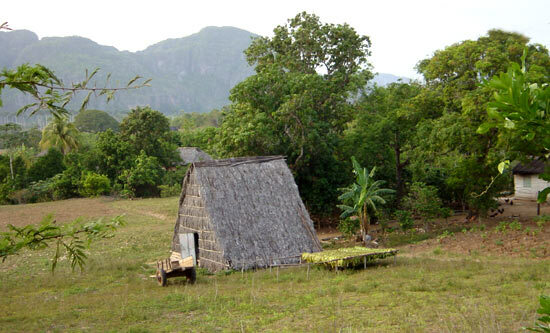 - Sierra del Rosario was the first Biosphere Reserve recognised in Cuba. It occupies the eastern half of the Guaniquanico mountain range its most attractive landscapes are Soroa and Las Terrazas. 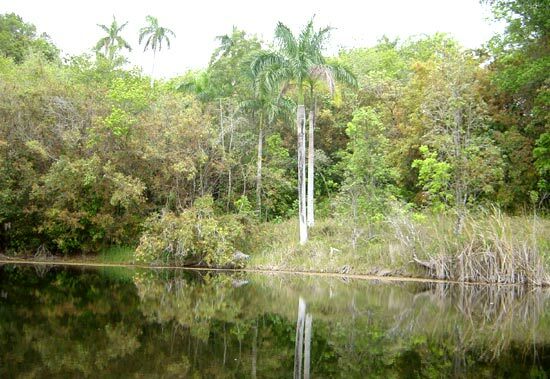 Soroa, about 70 km to the west of Havana, is rich in flora and has a wide variety of trees, shrubs, wild orchids and ferns. Its fauna includes one of the smallest frogs in the world and around 70 different types of birds have been reported, some of them indigenous. 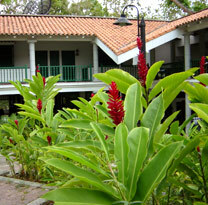 Its orchid farm is famous for its 750 species of orchids, 100 of them are Cuban. At the waterfall along the river manantiales visitors can take a refreshing swim. 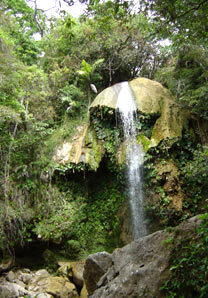 Las Terrazas covers a natural area of some 5 000 hectares, where a sustainable rural economy p roject in place, based on rational tourist exploitation of natural resources, which can be seen in the Comunidad de Las Terrazas, with its unique architecture. 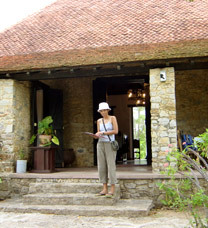 Ruins of the former French coffee plantations dating back to the 19th century are of particular interest. Valle de Vinales where declared a National Monument first and Cultural Heritage Landscape later, the Valle de Vinales, qualifies as the finest example of the group of caustic valleys in the country and perhaps the Cuban landscape that has most travelled the world. In its interior rise flat-topped and rounded hillocks and vertical slopes whose cavernous hollows and interior streams provide one of the most important speleological systems on the planet.